One of the realities of health care is that not all patients can be cured. The time comes for all of us when we face death. For some it comes quickly and unexpectedly. For others, a terminal illness or condition is diagnosed, giving more time to consider end-of-life care. In this case, as the patient's health declines, the care of a hospice nurse can be very effective in making the end days more tolerable. The goal of hospice care is to allow patients to live as fully as possible, while focusing on helping them remain comfortable during the final stages of life in the comfort of their own homes with their families at their side. The hospice doctrine states that terminally ill patients have the right to spend their last days in the comfort of their own homes, with their families. Hospice care provides professional medical care as well as supportive social, emotional, and spiritual services to accomplish this. Hospice nurses can be licensed practical nurses, registered nurses, or advanced practice nurses, depending on the setting and the patient's needs. The National Board for Certification of Hospice and Palliative Nurses strongly recommends that nurses who want to pursue certification should practice for at least two years in a hospice or palliative-care setting. Some schools offer formal training in the subject, as well. To become certified, candidates must apply for and pass the board's exam. Certified Hospice and Palliative Nurses, or CHPNs, must maintain their certification through continuing education. Most of the duties that the hospice nurse performs are focused on minimizing pain and maximizing comfort. The medications the nurse administers and the symptoms she/he records are not meant to assist patients in their recovery, but instead are aimed at making his/her remaining days as comfortable as possible. The main purpose of the hospice nurse is to provide effective management of pain and other symptoms of end-stage illness and to offer supportive services for patients and families. The physical, emotional, social, and spiritual needs of patients and families are addressed as a way to offer hope, comfort, and support. Performs traditional nursing duties such as observing, assessing, and recording symptoms. 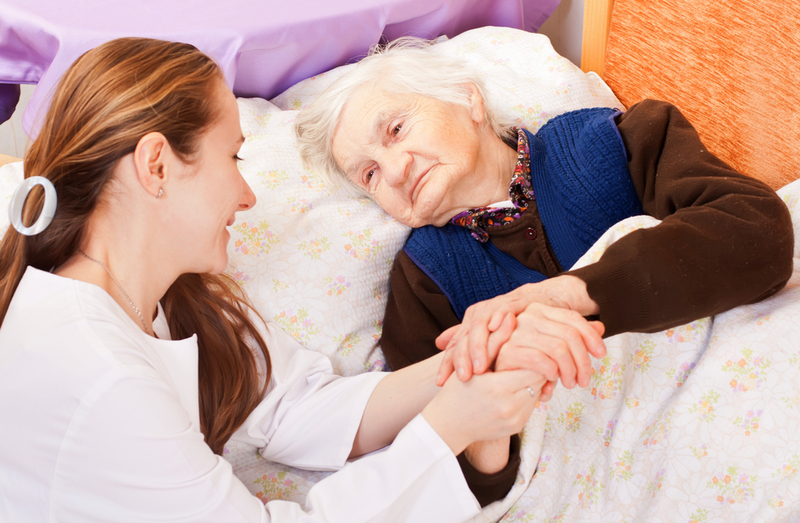 Hospice care provides support at home for persons in the end stages of incurable diseases. Inpatient hospice care may also be offered to patients with symptoms that con no longer be managed in the home. Hospice can also be provided in a nursing home or other healthcare facilities. Dealing with a dying person on a daily basis requires an exceptional disposition. The hospice nurse must personify compassionate caring, patience, and dedication. The nurse must also possess expert assessment skills and be a compassionate, yet critical thinker. It is also important that the hospice nurse have an understanding of the end-stage processes of many diseases. With the aging baby boomer generation and rises in terminal disease rates, hospice nurses who work with the elderly will remain in high demand. The average annual salary for a hospice nurse is $62,000, according to Salary.com. However, a number of factors can affect a hospice nurse's salary, including years of experience, types of certifications, region of the country, and whether working in a metropolitan or rural area. Some hospice nurses are earning more that $75,000 per year. Advanced practice nurses also earn significantly higher salaries on average.